Wiley says: We did it! 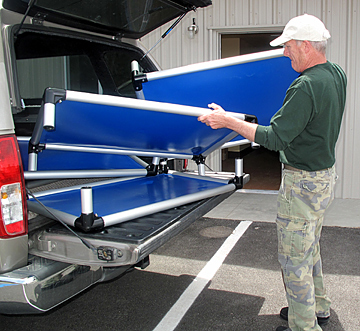 "Raise the Roof — a Cause for Paws"
JUNE 2015 - The Shelter office furniture finally arrived in June. 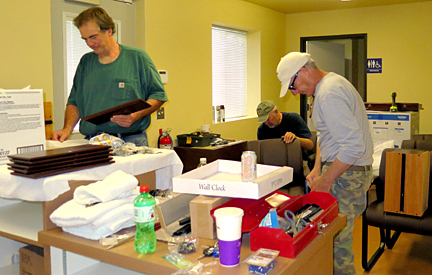 A furniture-assembling/art-hanging party took place with volunteers getting things in place, including new Kuranda beds for the dog kennels purchased through the ICARE's "Pat Nahin Happy Pet Fund." 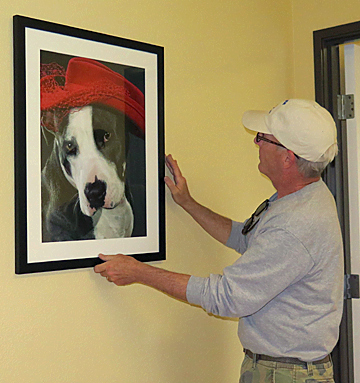 Pat and her husband Ed also donated some amazing photography showcasing their Inyo County Shelter dogs, Barbi, Blue and Ginger! 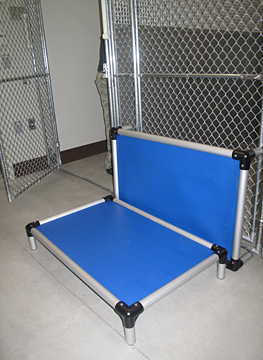 APRIL 2015 - The new Animal Shelter construction has been completed for over a month. However, the building cannot be occupied by humans or animals due to lack of desks, lobby seating, furniture, cabinets, pressure-washer hoses, fire sprinklers and an Occupancy Permit! We're all anxious to get the new facility up and running. Let's hope this final stage doesn't take long. We are looking forward to a genuine Grand Opening and will keep you all posted (see above). 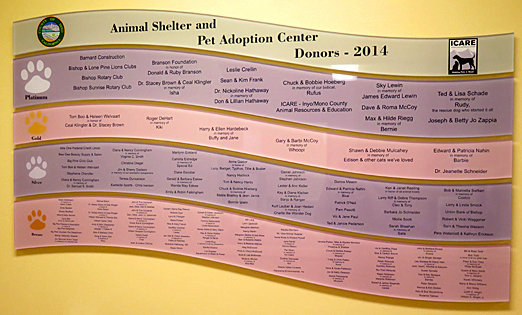 JANUARY 2015: The new Animal Shelter is coming along beautifully! 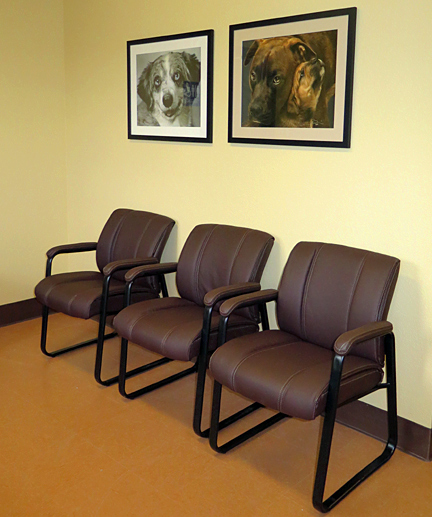 Interior office walls have been constructed and painted, linoleum installed in lobby and waiting room, as well as "get acquainted rooms" for cat and dog adopters. Click here for an updated PHOTO ALBUM! This project is nothing short of miraculous and would never have happened without the community's belief and support. Take a minute to check out the photo album to see what can happen when dreams come true! 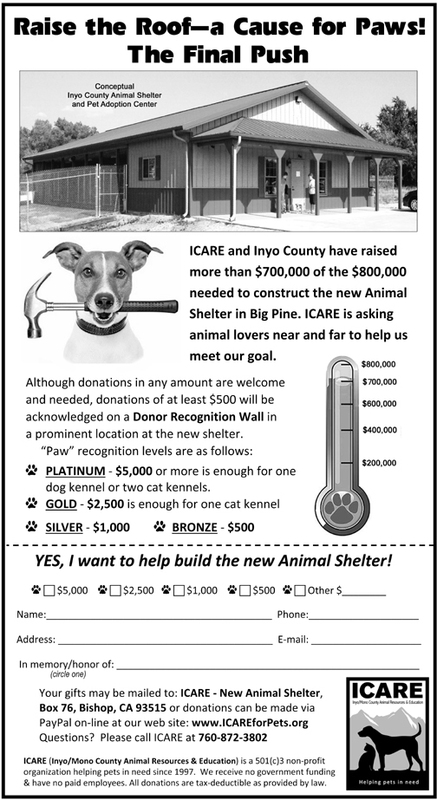 Here's a link to the Shelter blueprints for the new Inyo County Animal Shelter and Adoption Center. 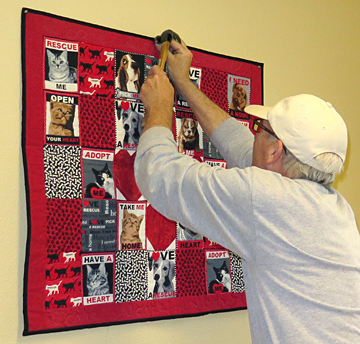 If you'd like to take a quick VIDEO TOUR of the old Animal Shelter, click here. There's even a Photo Album of the "before" Animal Shelter. For those of you who'd like a printable version of the FLYER, a pdf version is available here.